The services available in Solid Mastermind combine to deliver a comprehensive on-line training curriculum for Solid Edge suitable for both novice and experienced users. Access to Solid Mastermind is available for a whole year for little more than the cost of 1 days classroom based Solid Edge training. 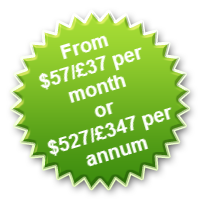 Costs for these courses are typically in the order of $450/£300 per day per attendee excluding expenses. Looking at the duration of the courses a comprehensive training regime not using Solid Mastermind can amount to many thousands of dollars/pounds. Those courses listed above sum to one working month (20 days) of classroom training and a cost of $9,000/£6,000. So before you invest in classroom based Solid Edge training look at saving a huge amount of money and consider Solid Mastermind. An extensive library of Solid Edge Tutorials and Solid Edge Training Videos organised into structured training courses. An extensive library of Solid Edge Tips & Tricks to discover the hidden secrets of how to use Solid Edge. A comprehensive Solid Edge Questions & Answers Vault inside which you'll find answers to hundreds of previously asked questions from Solid Edge professionals. These services combine to provide access to far more Solid Edge training resources than any classroom course. Solid Mastermind can be used to supplement or replace classroom training. As a supplement to classroom training it enables you to reinforce your learning whenever appropriate so that your substantial investment in training is not wasted on 'learn and forget' classroom courses. As a replacement Solid Mastermind provides easy access to a comprehensive collection of expert on-line resources for Solid Edge that allows members to learn and reinforce their knowledge at a time, pace and location of their choosing in the most cost effective way. 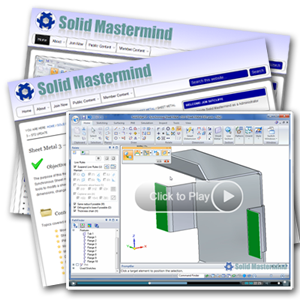 Using Solid Mastermind as part of your training strategy will save you vast amounts of money and help propel your knowledge of Solid Edge to the highest level.